There are many things that you can do to encourage your child to sleep in their own bed. If you have young children, then you are probably all too familiar with sleepless nights. Many children struggle to sleep in their own beds, and they tend to end up with their parents. 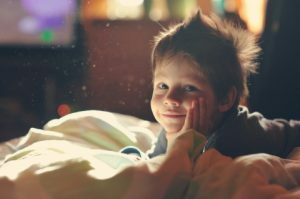 Unfortunately, work and life don’t stop when your child interrupts your sleep, but the good news is that there are many strategies that can help your child to stay in their own bed all night long. If you haven’t already, check out our Cortlandt Manor child care expert’s latest blog to learn about the tips that we’ve already gone over, and keep reading to learn more. #4. Avoid lying down with your child. The last thing that you want is to get your child used to sleeping next to you, so do your best to avoid lying down with your child. If you do decide to lie down with your child to read to them or give them nightly cuddles, make sure you leave before they fall asleep. #5. Make sure that your child uses the restroom before they go to bed. In many cases, your child’s bladder is actually what wakes them up at night, and once they are up, they may need some company in order to go back to sleep. Minimize the amount of liquid that your child drinks before bedtime and always make sure that they use the restroom. Our day care center has just a few more tips to go over with you, so if you would like to learn more, please stay tuned!